Need a handbook to your architect's business or studies? Struggling with your latest DIY project? Interested in the art of architecture? 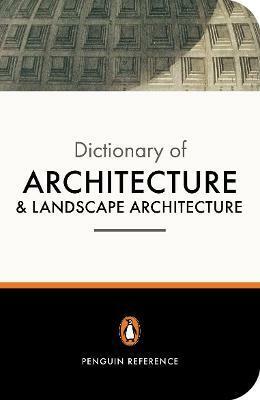 This classic work, now in its fifth edition, covers every aspect of architecture and landscape architecture. Ranging from ancient times to contemporary trends, it adopts a truly international perspective, focussing on countries and cultures such as Coptic, Tibet and De Stijl. Without doubt, this is the standard work in the field. As reflected by its new title, 'The Penguin Dictionary of Architecture and Landscape Architecture' has now been expanded to include recent developments in the field of landscape architecture. Full account has been taken, too, of the huge range of building traditions around the world. The text has been completely reset and all the illustrations redrawn. Nikolaus Pevsner is best known as the author of many of the Buildings of England series and the editor of the Pelican History of Art and Architecture series. He died in 1983. Hugh Honour and John Fleming have collaborated on many books, includingthe Penguin Dictionary of Decorative Arts and A World History of Art. They live in Italy.